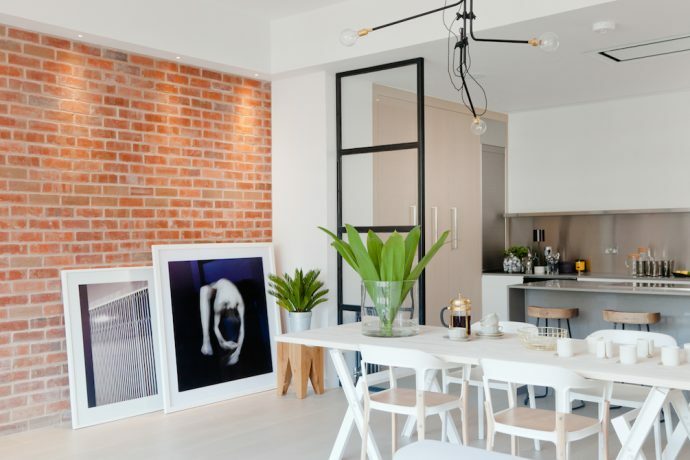 The talented team of Holland Park interior architects at Callender Howorth offer an exceptional selection of interior design and renovation services within Holland Park and beyond. We do not compromise on quality and finish and can offer an exceptional selection of furniture, fabrics, lighting and accessories to create a timeless yet contemporary look in residential and commercial properties. All aspects of design are considered, from the organisation of space to lighting and flooring. We work in close consultation with clients through every step of the process. Our growing portfolio showcases our work at some of London’s most exclusive addresses, from Mayfair to Holland Park and beyond. What have we designed there? 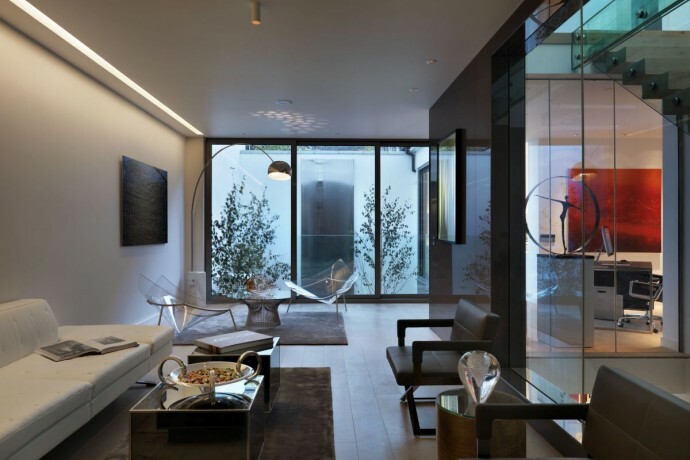 As experienced Holland Park interior architects, our design projects in the area are of the highest standard and reflect the environment’s regency. Our latest project was a house on Princedale Road, which we connected to a mews house behind it via an enormous basement conversion. 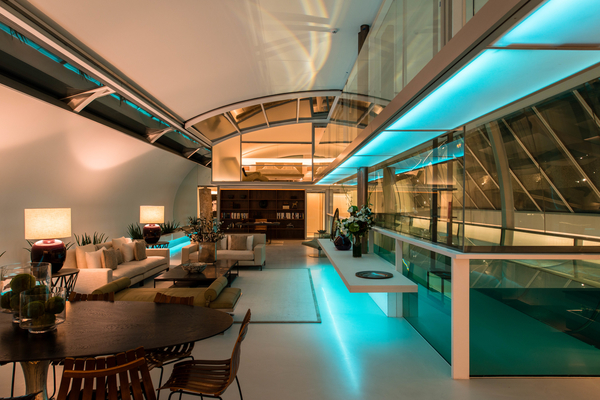 Our team of Holland Park interior architects completely renovated the space into an airy and bright vaulted space that lies between the two properties under a garden. The new space includes a stunning kitchen, dining and wine area, as well as a TV room, media room, library and a guest suite. Meanwhile, the main house has been designed to retain its classic features and proportions. Holland Park may be relatively small compared to Hyde Park and Regent’s Park, but it is still considered one of the most beautiful green spaces in London. Nestled in the heart of this ultra-exclusive area between Notting Hill and Kensington, the park boasts a playing field, an ecology centre, a wooded area and a temporary summer venue for operas. The park surrounds a Jacobean mansion called Holland House, which was a base for political and literary activity in the nineteenth century. The most popular part of the park is the Kyoto Garden, which was opened in 1991 as a gift from Kyoto to commemorate the long friendship between Japan and Great Britain. The tranquil garden is designed to exacting Japanese standards and features stone lanterns, tiered waterfalls and plenty of fish. Holland Park interior architecture is fittingly majestic, yet the most recent projects are imbued with a contemporary feel. Callender Howorth can create modern feeling spaces with recognition of the elegant design heritage of the area. Is Holland Park close to museums and exhibitions? Leighton House Museum is the former home and workspace of enigmatic Victorian artist Frederic Leighton. As the only purpose-built studio-house open to the public in the United Kingdom, it is a one-of-a-kind treasure trove of artifacts from all over the world, including a vast collection of sixteenth-century Middle Eastern glazed tiles. The house was designed by the artist’s friend – the architect George Aitchison – in the 1860s and was then filled with the work of Leighton’s and his contemporaries’. It is now closer to the artist’s original vision than ever before since it underwent a £1.6 million refurbishment and reopened in 2010. The chic neighbourhood of Holland Park has plenty of things to do, particularly if you enjoy independent shops and restaurants. There is a wonderful selection of high-end food stores, such as Jeroboams fine food and wine merchants and C Lidgate Butchers and Charcuterie, which has been serving residents since 1850. The elegant Daunt Books is a bookshop specialising in art, photography, travel, fiction, history and children’s books. The Windsor Castle and The Mitre are wonderful traditional pubs that serve food. Nearby Edera serves classic Italian food in a friendly setting and Giraffe perfectly caters for families. The Cowshed provides the ultimate urban retreat in the heart of Holland Park with its spa treatments and organic skincare shop. Why would you want to live in Holland Park? Which famous people live there? Holland Park is a very low-key area, despite being so upmarket. The neighbourhood is known for its discretion, which attracts wealthy and famous businessmen, such as Richard Branson and Simon Cowell. The peaceful ambience of the locality and the fantastic park, which features one of London’s most impressive play facilities, make it an ideal place to raise children. The surrounding area also has many well-respected local schools, including Holland Park School and The London College. Other attractions are the numerous cultural events and operas in the park during the summer. Please contact Callender Howorth – Holland Park interior architects – to discuss your design requirements. A fun team that loves what we do!